Summer Time and the living is easy. So goes the song. Summertime is often the time that Granges have picnics for their members. Your grange picnic could be a good time to invite possible members to be you guests and to get acquainted. Then after the picnic follow up with an invitation to attend a meeting or two and / or to join your grange. Don’t be modest about your accomplishments. When you have made donations to worthy causes, awarded a scholarship, honored a non grange member as “Citizen of the Year”, be sure to give it good coverage in the local newspapers. 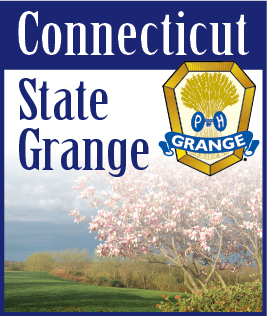 If there is a public event where your grange can set up a table and distribute information about your grange, do it. They won’t all work but your group will be better known and have better odds for getting new members. May your summer be a good one and your membership grow.